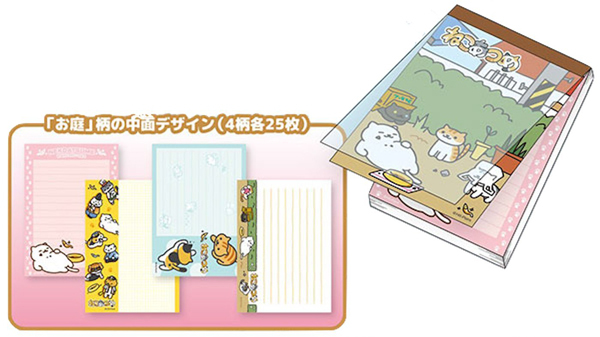 These Neko Atsume Kitty Collector A6 notepads are perfect for jotting down your thoughts and ideas. From last minute shopping lists of goodies for your cats to general notes, these notepads are sure to bring a smile to the face of every cat lover. With two different designs to choose from and four different styles of themed paper inside, there’s no lack of colour and variety. Each notebook is A6 sized (105 x 148 mm) with 100 pages. Since we’re the official exclusive dealer in UK for Neko Atsume merchandise and buy direct from the official Hit Point global license holder for Neko Atsume merchandise, you know that the authenticity of our items are guaranteed. Unlike some other vendors who may be selling fake or unofficial Neko Atsume items that aren’t bought directly from the manufacturer, or from us, these nekos are all genuine. Images are for illustrative purpose only. One design will be send out at random. If you prefer a particular design, please ask us.